Governor Najma Heptullah invited the BJP to form a government in Manipur under N. Biren Singh, with the swearing in scheduled for March 15 afternoon. New Delhi: Manipur governor Najma Heptullah has invited the Bharatiya Janata Party (BJP) to form the next government in the state. The new cabinet, headed by N. Biren Singh, will take oath of office at the Raj Bhavan on March 15 at 1 pm, the governor said at a press meet in Imphal on March 14. She said she would like Biren Singh to take a floor test. Congress leader Okram Ibobi Singh resigned from the post of state chief minister on March 13 to facilitate formation of the next government. Being the single largest party, the Congress staked a claim to form government on March 13. Heptullah, also a senior BJP leader, chose to call the BJP, which formally made the request to her after the Congress did. 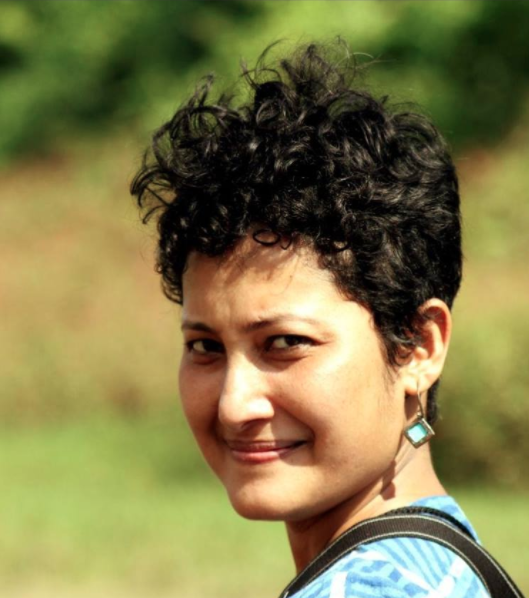 On the night of March 12, BJP MLAs, led by Himanta Biswa Sarma – the convener of BJP’s North East Democratic Alliance – submitted to her a list of 30 legislators from National People’s Party (NPP), Naga People’s Front (NPF) and Lok Janashakti Party (LJP) supporting it. While the LJP and the NPP are the BJP’s partners at the Centre, it has an alliance with NPF in Nagaland. In the assembly elections in Manipur, while the Congress bagged 28 seats – three short of simple majority – the BJP won 21 seats. Both the NPP and NPF won four seats each while LJP bagged one seat. Besides, one seat was won by All India Trinamool Congress and one by an independent in the 60-member assembly. On March 13, Himanta Biswa Sarma claimed the BJP had the support of 33 MLAs – two more than the majority mark. 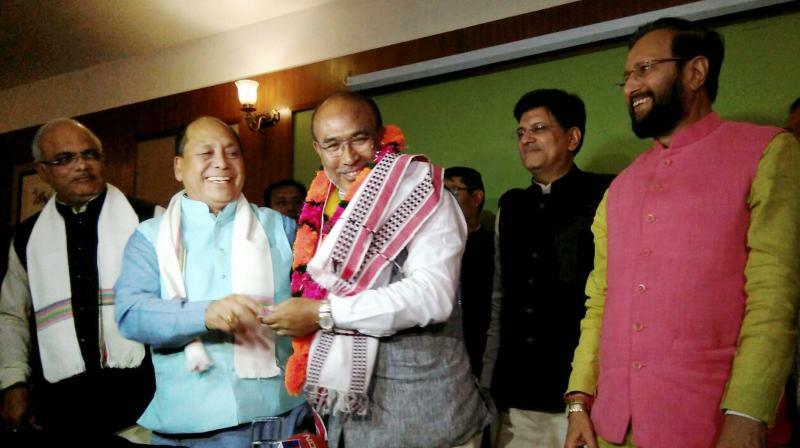 Biren Singh, a former minister in the Congress government who defected to the BJP last October, was elected the BJP’s legislative party chief on March 13. Before joining politics, he was a national football player and a journalist. As per sources, Th. Biswajit Singh, who joined the party in 2015 from the All India Trinamool Congress, and was the BJP’s lone MLA in the last assembly, will be the deputy chief minister. The post of home minister would likely go to NPP leader Yumnam Joykumar, the sources said. Joykumar, who served as the former director general of police at a time when hundreds of extra-judicial killings allegedly took place in the state under the Congress regime, joined the BJP, only leave to it in the run up to the assembly polls after he was denied a ticket from the Uripok constituency. He later won from the constituency as an NPP candidate. As per local media reports, the NPF – which was the first to offer support to the BJP soon after the results were announced – has demanded a cabinet ministerial berth for its MLA L. Dikho, besides the posts of parliamentary secretaries to three other MLAs. March 15 would bring an end to the 15-year-rule of Ibobi Singh, the longest continuous rule by a chief minister the state saw after independence.